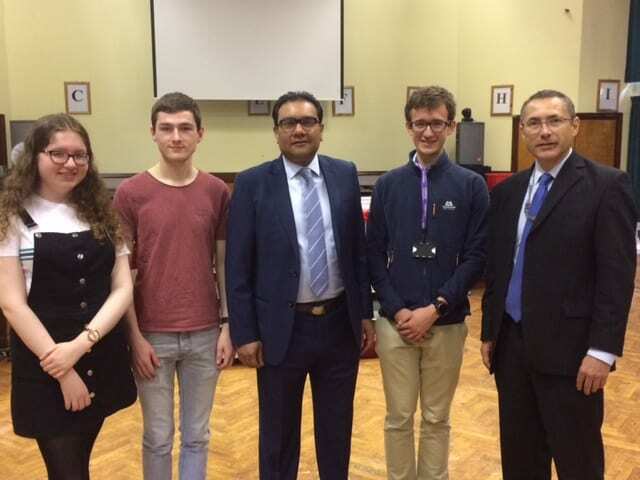 Students at Appleton College enjoyed a talk followed by a question and answer session given by Faisal Rashid, MP for Warrington South. Mr Rashid began by talking about the role of a member of parliament including the challenges and the highlights. Many questions were then asked by the students on a wide range of issues which included the Syrian war, social housing, vote 16, the Runcorn toll bridge, Brexit and many more. We would like to thank Mr Rashid for visiting the College and hope to see him again.